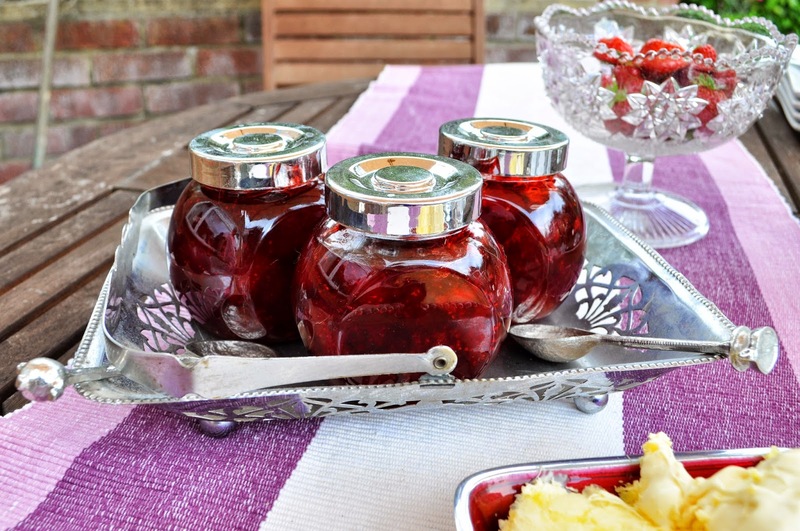 TEA STREET Blog: Homemade Strawberry Jam! I'd like to write a post in honour of my Grandad who sadly passed away earlier this year. Before he was taken ill he had bought some strawberry plants that we later took on and re-planted in the hope of a few strawberries to enjoy in the summer. The plants really took off and when we got back from France we were inundated with an abundance of strawberries we couldn't eat quick enough! 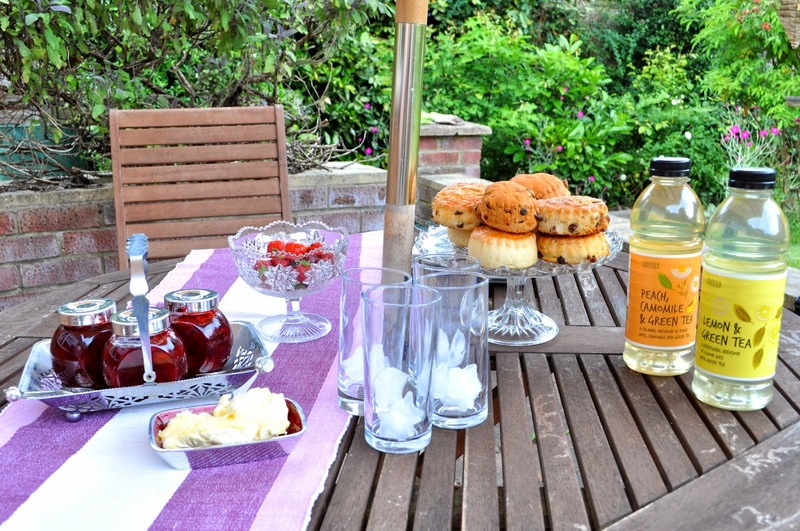 With the atmosphere of Wimbledon coming up, we decided to make jam out of them and have a lovely cream tea in the sun...! It was a warm day so we decided on Iced Tea rather than hot tea and got these ready-made blends from Marks and Spencer; 'Peach, Camomile and Green Tea' and 'Lemon and Green Tea'. They were lovely and refreshing and surprisingly light! 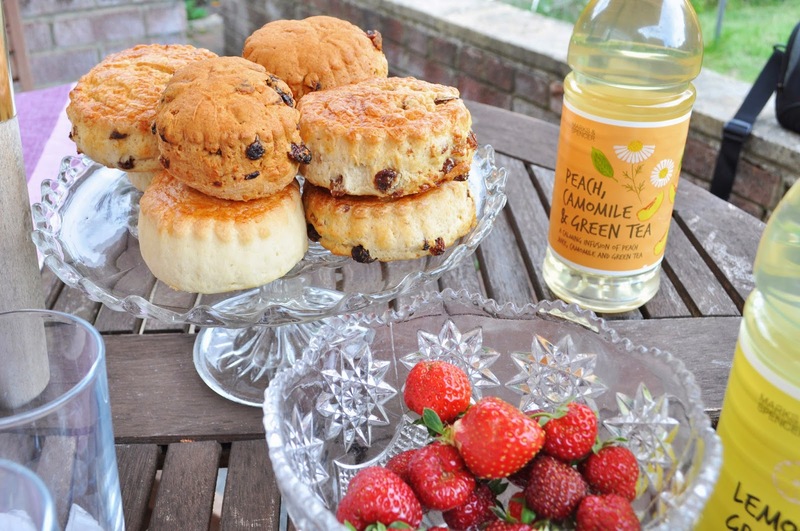 We decided to keep the strawberries as whole as possible when we made the jam and they really kept their flavour for the scones.